The city's Department of Health and Mental Hygiene says it is investigating after more than 50 tourists, most of them teenagers, were hospitalized for possible food poisoning after a trip to the Big Apple. Health officials provided no other information. The tour group, comprised of 48 teenagers and three adults, according to the Post, had traveled from New York to Washington, D.C. 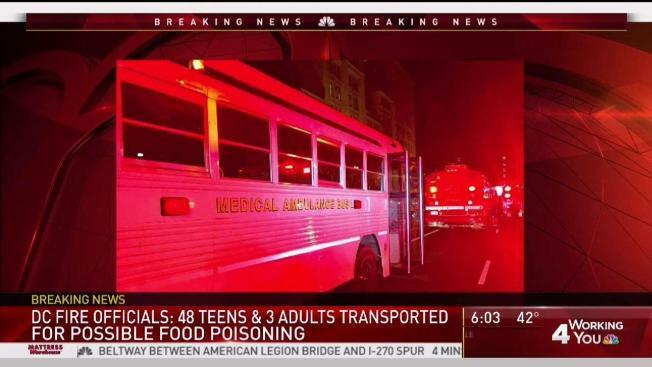 It was in DC that firefighters were called to a hotel for a report of multiple people exhibiting symptoms of food poisoning. The whole group was taken to a hospital as a precaution. Most members had returned to their hotel rooms by Monday, the Post reported. It's not clear what made them sick, and their whereabouts in New York weren't immediately clear.